This is the fourth time the group has opposed a nominee to the Supreme Court in its 98 years. In an unusual break with their own policy, the American Civil Liberties Union announced that it was opposing Judge Brett Kavanaugh’s nomination to the Supreme Court. The group said they did so because it believes there are credible sexual assault allegations against the candidate. “This is not a decision taken lightly," the organization said in a resolution passed by the board of directors. "We cannot remain silent under these extraordinary circumstances about a lifetime appointment to the highest court of the land. The standard for such an appointment should be high, and the burden is on the nominee. That burden is not met as long as there are unresolved questions regarding the credible allegations of sexual assault." This is the fourth time the group has opposed a nominee to the Supreme Court in its 98 years of existence, they said in a release, but the group noted they did not take a stand on Justice Neil Gorsuch’s nomination. Christine Blasey Ford's emotional testimony about her alleged assault prompted a slew of unusual pushback from outside groups. A major Jesuit Catholic magazine, America, retracted its endorsement in a surprising reversal; the magazine had issued a hearty endorsement of Kavanaugh in July. The American Bar Association — a group that had previously given Kavanaugh its highest rating and whose vetting of Kavanaugh the nominee boasted of during his testimony — called for nomination proceedings to be suspended to make way for an FBI investigation on Thursday night. Yale Law School Dean Heather Gerken joined the ABA's calls for an investigation on Friday. 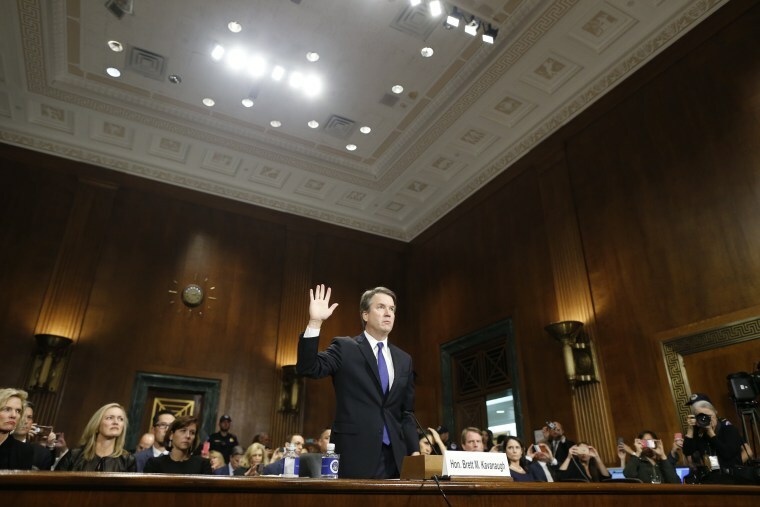 The school had released a press release in July with faculty members' praise for Kavanaugh.